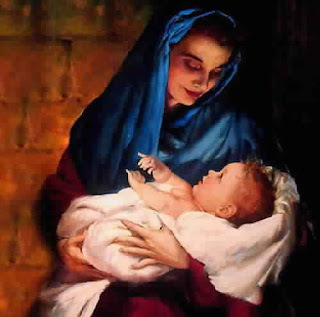 One of the most beautiful things about Christmas is the story of the birth of Jesus. Nothing stirs my heart more than that. The birth of a baby is also about the loving mother and one cannot celebrate Christmas without paying homage to Christ's mother. The most beautiful rendition of the Ave Maria I've ever heard is by Celine Dion. It brings tears to my eyes every time. It truly is magnificent. And this is my gift to you. May you have peace in your life and may you know true joy in the coming year. May God bless you all. Thank you for sharing Ave Maria. Its one of my favorite Christmas songs (I wish I were a soprano). Celine Deon's version is quite moving. Couldn't resist stopping by to say Merry Christmas to this blog that has a holiday glow every day of the year! I've never heard this! thank you for sharing Celine's version! She has such an amazing voice!